Take a second and remember the days of your youth. Remember those kids you wished you got to know better? Remember those lovable oddballs who just seemed too weird to hang out with? Well here’s your second chance! Those kids just got their own show at Cornservatory and they’re inviting you to their house party as Corn Productions presents The Fifth Ace! 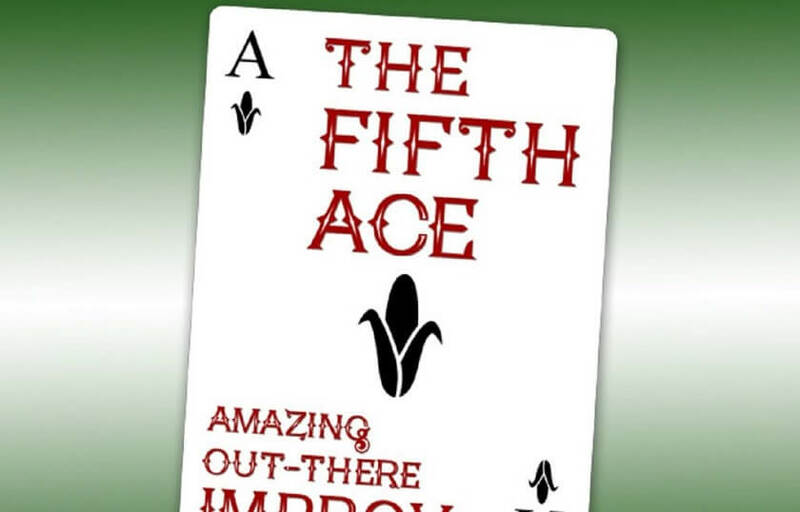 The Fifth Ace is a team of some of the most amazing, out there, and genuine improvisors around and they’re delivering their own brand of heartfelt, delightful absurdity on a weekly basis. Come out and live the night you’ve always regretted not living! Whether you’re old or young, The Fifth Ace promises a night of laughs with the best friends you never had!